Pride Air was a United States airline that operated for three months during 1985. Pride Air was based out of New Orleans International Airport. 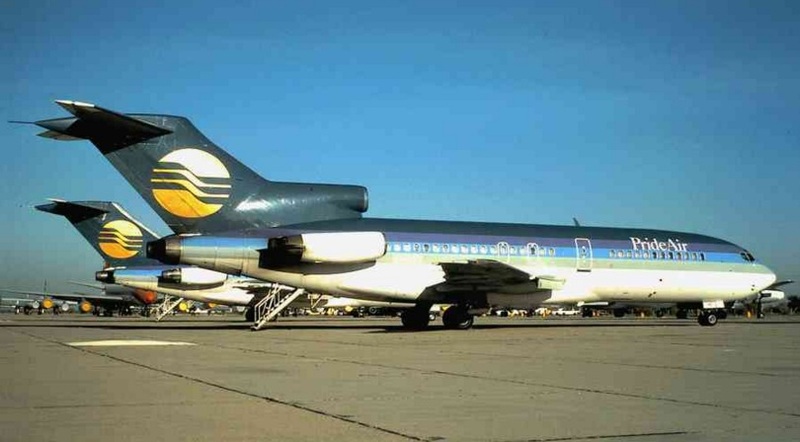 Pride Air was run by several people who failed in the Continental Airlines buyout. Many of the investors were former Continental pilots who left Continental Airlines after the first bankruptcy. They chose New Orleans as a hub because there was no airline based primarily out of the airport at that time. They had previously considered Kansas City, but reconsidered when Eastern Airlines began building up Kansas City. competition from Continental Airlines in the New Orleans market, and low initial passenger loads, Pride Air suspended operations on November 15, 1985, only three months after it began flying. The airline intended to have a hub in New Orleans and link cities in California and Florida.Paul Eckel was the chairman and chief executive of Pride Air.